The Catskill Mah Jongg Club meets every Tuesday morning at 11 am at the Roxbury Library. This year-round social club welcomes new members and provides basic mah jongg instruction on an ongoing basis. To join the Catskill Mah Jongg Club, please contact Roxbury Library Association Board of Trustees’ Vice President Julia A. Menne at (607) 326-3027. Club membership requires joining the Roxbury Library and holding a current National Mah Jongg League game card. Applications for Roxbury Library membership and a National Mah Jongg League game card are available at all club meetings, at minimal cost. Located at 53742 State Highway 30, the Roxbury Library is directly opposite the town’s United Methodist Church on Main Street. Roxbury Cub Scout Pack 41 is chartered by the Roxbury Fire Department. We currently have den meetings on the 1st and 2nd Thursday of each month at 6 pm at the Roxbury Firehall. Each month an extra different activity is planned such as the Pinewood Derby, a hike or a visit from someone. There is a monthly pack meeting which is held the last Thursday of the month at the firehall at 6:00. This is a time for the families to come together and the dens to show what they have done during the month. It is also a time for advancement ceremonies. Although this pack has not been very active the last 2 years we have some very dedicated parents and leaders this year. We are off to a good start and hope to continue to make the best possible program for the boys. In 2000, a community-minded group of Grand Gorge residents formed the Grand Gorge Community Action Group (GGCAG) to initiate Community Improvement Projects and revitalize the hamlet. In partnership with the Town of Roxbury, the GGCAG has installed beautiful signage at all four village entrances. The community playground and ball field at the Civic Center have been restored. In the milder months, you’ll see flower boxes abloom along Main Street, and during the holidays, lighted Christmas wreaths. The Civic Center, restored by the Town of Roxbury and Grand Gorge residents, is a keystone of village activity, hosting senior meals, community events and parties, and community meetings. The Halloween and Christmas parties and community breakfasts held there are growing each year and warmly anticipated by the whole community. As part of the town-sponsored Main Street Revitilization project, funded by the Appalachian Regional Commission and the New York Main Street Program, six business district facades were recently re-designed to recreate the look and feel of Grand Gorge decades ago while creating a visually appealing experience for residents, shoppers, and visitors. The GGCAC is also organizing more streetscape enhancements, including banners, landscaping, benches and signage. The Grand Gorge Rescue Squad is a 100% volunteer organization assisting the Grand Gorge Community in emergencies. Discuss special dietary needs and make recipes and get advice for your dietary questions with a dietary professional from the Cornell Cooperative Extension. explore the connections of our historic, rural region to the broader world and beyond. Our mission is to encourage a prosperous, sustainable future through the promotion of technological understanding, scientific discovery, and innovative thinking. GRLIC believes that the advances of science should be driven by the needs of humanity and that an inspired knowledge of science, engineering, and technology can make a positive impact on the quality of life throughout greater Roxbury, increase career opportunities for young people, and bring bright prospects to future generations. Please contact us via email for information on how you can participate. 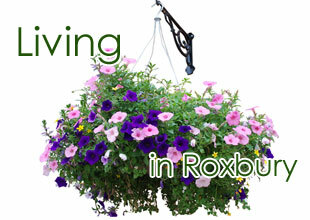 The Roxbury Library Association sponsors Regular Tuesday Forum programs, activities and gatherings which are free of charge. They also run a Thrift Shoppe, hold holiday bazaars and sales throughout the year. Writers in the Mountains (WIM) is not a membership organization and everyone is welcome at all events and classes. We always welcome suggestions, offers of help and new ideas. You can register for classes at writersinthemountain.org or by calling (607) 326-7908 and speak with Ann Epner for registrations, questions or suggestions.